February is arguably the most romantic month…and also one of the coldest. Musement takes a look at five destinations you should consider visiting this February. If you love the cold weather, you still have a few months to capitalize on experiencing both the winter wonderlands out there as well as certain cities from which the snow and cold bring out a particular charm. Or you can escape the cold all together and head somewhere warm. Here are five ideas for your February travels. An all-sensory experience, Marrakech is intoxicating. Explore the 600-hectares Medina, a UNESCO World Heritage Site where you can uncover exotic treasures at the souks. Discover the tastes and smells of Morocco by sampling the wide variety of local specialties like Makouda, delicious potato fritters served with a spicy dipping sauce, that you can couple with the national drink: Mint Tea. You can head out of the city for a day trip to explore the region’s diverse natural landscapes which include mountains, tropical gardens and the desert. Head to Australia this February where sandy shores, outstanding entertainment and incredible ecotourism await. Explore inside the Jenolan Caves where geology becomes art, or hike Blue Mountain where for breathtaking views of the Australian wilderness. Put on your shades and check out the most famous Australian beach called Bondi Beach where you can frolic in the ocean or kick back in the famous 50-meter saltwater pool! Feeling fancy? Check out a performance at the Sydney Opera House or just get that postcard-perfect photo in front of this architectural gem. The Eternal City and its ancient treasures are the perfect February destination. The absolute paradise for the scholar of art or history, you can spend your days exploring the fascinating historical narrative surrounding the Colosseum and the Roman Forum, the ancient religion that created The Vatican and the breathtaking art within the Sistine Chapel. Although the February weather is relatively pleasant February is not popular time to travel to the city giving you more room to ‘roam’ around Rome at your own pace. Finally, don’t forget to ‘mangia’ like a local in the evenings! 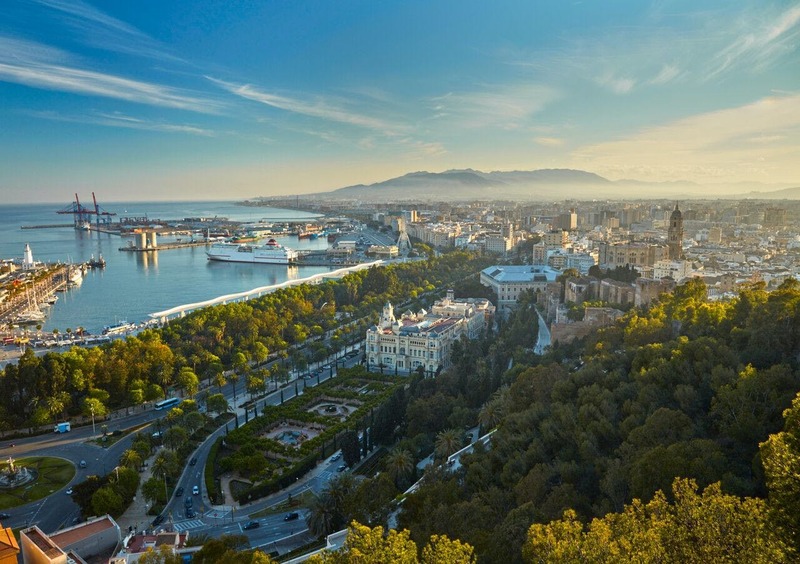 For some sun, sand and culture without travelling too far from home, Malaga is wonderful in February. Andalusia’s ancient riveting history can be uncovered exploring Roman ruins or visiting the Alhambra, a magnificent Moorish citadel and palace located in nearby Granada. Treat yourself to some delicious tapas paired with traditional wine and dance your nights away in one of the many clubs dedicated to Spanish rhythms and Flamenco. Have you ever wanted to see the Northern Lights? February is one of best months to catch this natural light performance, so head to beautiful Finland. Fly into Helsinki first and explore the seaside city prior to heading even further north to the world-renowned resort in Kakslauttanen, where you can watch the lights from the comfort of a personal glass igloo! To get there, fly into Ivalo (IV) airport (about an hour and a half flight north of Helsinki) where you can get a 30 min shuttle bus directly to the resort.